We all have our picks when it comes to the movies. Some like the animated wonders of Pixar while others prefer the superhero epics. 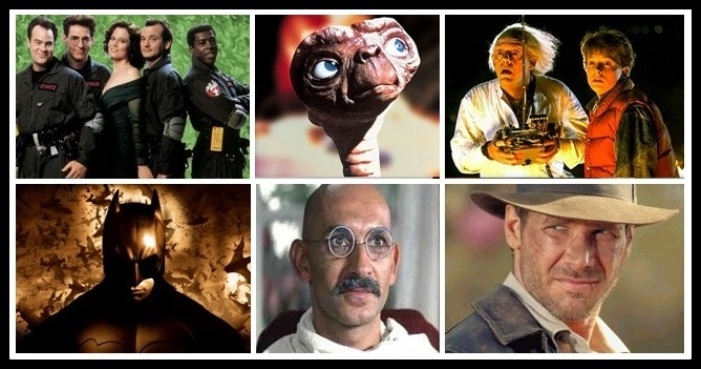 It is the storytelling genres in Hollywood that has given us all our own personal favorites and here is a short recap of the evolution it has gone through over the years. See if you can find the roots of your favorite genre! The Golden Age of Hollywood. Romance ruled the screens and gave us fine movies like Gone with the Wind that have stood the test of time. 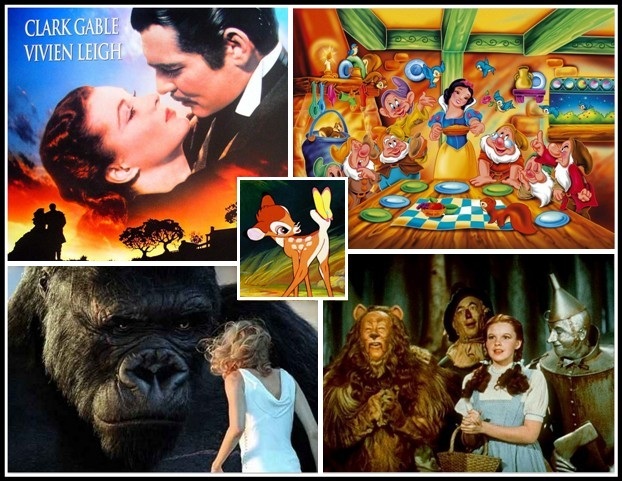 The studios also flirted with every story telling genre there is and gave classics such as King Kong (Adventure), Citizen Kane & Hells Angels (Drama) & The Wizard of Oz (fantasy). This was the time when Disney first created the animation genre with classics like Bambi, Fantasia and Snow White & the Seven Dwarfs. 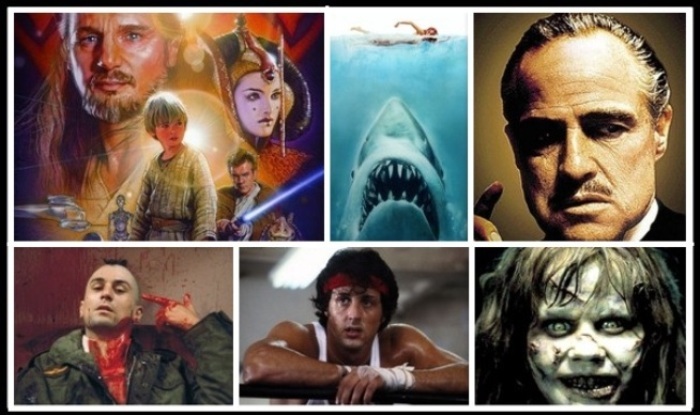 With a wide variety of movies being made in every possible storytelling genres, Hollywood was at its best in its first years. The studios had become totally bound by a formula (much like Bollywood in the 90s)and the audience soon got bored with the same old heroic romances. 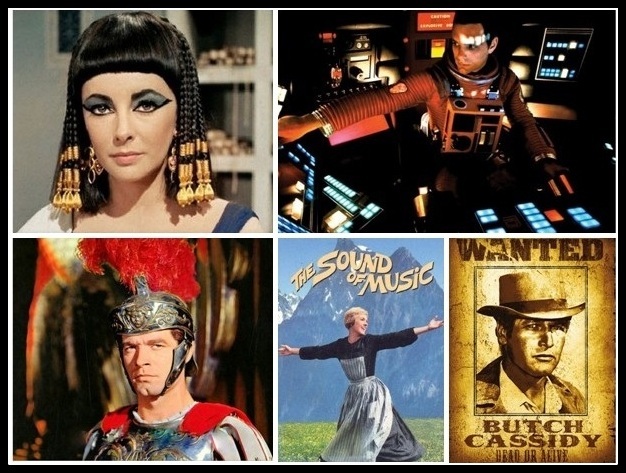 It rejected big budget flicks featuring stars like Elizabeth taylor in Cleopatra and only a lucky few survived these dull days which included Charlton Heston’s chariot driving antics in the epic Ben-Hur and the joyful Julie Andrews singing in the Swiss Alps in Sound of Music. Paul Newman-Robert Redford starrer Butch Cassidy and the Sundance Kid gave the “Western” genre a breath of fresh air, visionary director Stanley Kubrick revitalised science fiction through a cult classic 2001: A Space Odyssey. The cinema storyteller’s dream decade changed it all. A new wave of maverick directors like George Lucas and the now famous Steven Spielberg burst upon the scene and created the genre of Hollywood Blockbuster making movies like Star Wars & Jaws. The absolute masala entertainers - epic yet simple stories filled to the brim with big special effects &, bigger stars. Also born in this whacky decade was a second genre of Realistic cinema which gave us complex classics such as The Godfather (Crime), Taxi Driver (Drama) and Rocky (Sports/Drama). The cult of horror was also revitalised with The Exorcist smashing box office records the world over. The blockbusters were here to stay and the Star Wars franchise ruled the box office in the 80s. The studios were quick to cash in the success mantra and many more fantasy/sci-fi/adventure movies like the Indiana Jones movies, the Back to the Future series, Batman and Ghostbusters were presented to packed cinema halls. Hollywood had discovered its “formula” ( like we did with DDLJ!) The decade was the time of big hits but little adventure in storytelling methods and only a handful of directors pleased the intelligent viewer with classics like Gandhi (Historical Drama) and the cult hit E.T (the sci-fi classic which inspired our own Koi Mil Gaya). Computer Graphics were born. 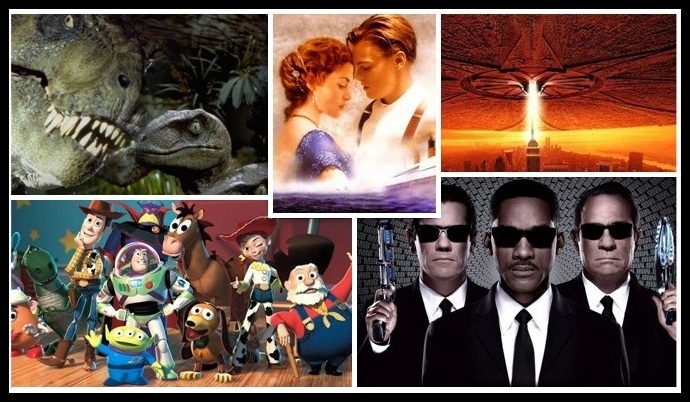 CGI or Computer Generated Imagery revolutionized the industry by gifting hits such as Jurassic Park, Independence Day and Men in Black where technology empowered the storytellers to create a believable fantasy world. The makers could depict almost anything on the screens now, their imagination being their only boundary. Two major genres from the Golden Age were revived in a big way in this decade. Disney and Pixar recreated the magic of animation movies with Toy Story while the romance genre was brought back to life by Titanic . The reign of the special effect blockbuster continued in Hollywood. The Harry Potter series, Avatar, Lord of the Rings, Transformers and the Spider Man movies reinforced the studio’s faith in epic storytelling and lavish CGI effects. But the decade also saw many gritty and realistic movies being made. Passion of the Christ, Memento & Inception are shining examples of movies which respect their audience’s intellect. 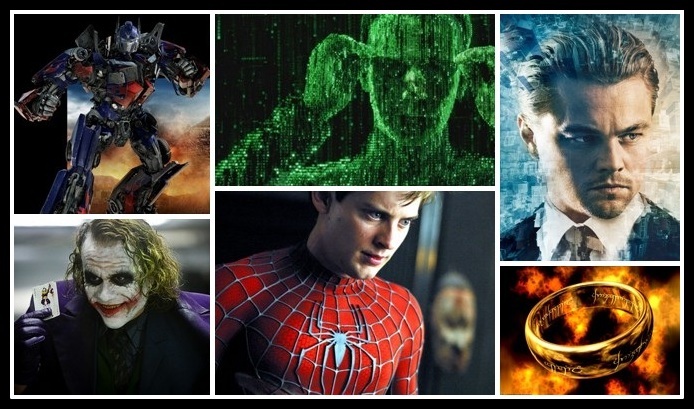 Even the big studios took notice and the success of two “different” blockbusters- The Matrix & The Dark Knight created a new storytelling method – the realistic fantasy. Independent movies like Paranormal Activity, Pan’s Labyrinth and Little Miss Sunshine also created the strong “indie” genre of movie making and its fans have only grown ever since. It took almost a hundred years for the story telling genres in Hollywood to reach the status it enjoys today and there was similar evolution across the colourful spectrum of Hollywood. Rockying promises to take you through the evolution of the various aspects of Hollywood film making. Stick around, the evolution story of VFX (Visual Effects) comes next. By the way, which story-telling era did you like the most?